Why use an ugly bracket when you could have one of these? To order this mount in black with delivery to a UK address, Please press the buy it now button directly below and make the payment. We will send you an email to confirm the order and to request a contact telephone number (required by the couriers). Once we have that we will ship the mount by UPS. To order this mount in white with delivery to a UK address, Please press the buy it now button directly below and make the payment. We will send you an email to confirm the order and to request a contact telephone number (required by the couriers). Once we have that we will ship the mount by UPS. To order this mount in black with delivery to an EU (or european single market) address, Please press the paypal buy it now button directly below and make the payment. We will send you an email to confirm the order and to request a contact telephone number (required by the couriers). Once we have that we will ship the mount by UPS. To order this mount in White with delivery to an EU (or european single market) address, Please press the paypal buy it now button directly below and make the payment. We will send you an email to confirm the order and to request a contact telephone number (required by the couriers). Once we have that we will ship the mount by UPS. Designed by UK Home Cinemas. Horizontal pivot point and tilt adjustment screws, enable fine adjustment in all directions (to level the projector). Locking screws fix the position once the adjustments have been completed. 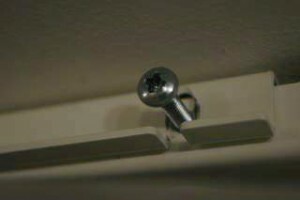 Installed with the adjustment and locking screws at the front. Available in several different versions and sizes specifically designed for different projector models. Not available via any other web site, but trade enquiries are welcome. We can ship to most countries. 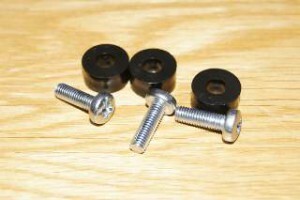 Low profile bracket for VPL-VW570 – For use with lens shift feature. 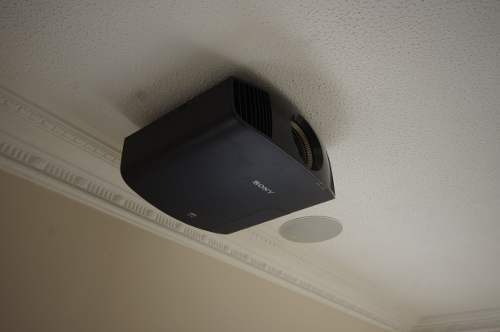 The optical lens shift feature On the Sony VPL-VW570 projector is a fantastic feature , which makes it possible to position the projector higher (or lower) than the top of the screen. This is adjustment is achieved optically and most importantly, it does not cause any distortion to the shape of the projected image. The optical lens shift feature can be used in conjunction with our ultra low profile bracket for VPL-VW570 . The UK home cinemas ultra low profile mounting brackets have small adjustments, which very usefully enable the installer to get the projector perfectly horizontal (even if the ceiling is not perfectly horizontal). With this solution, there will be no need to use the dreaded keystone correction feature on the projector and it will always be possible to achieve perfect on screen image geometry. The VPL-VW570’s lens shift control allows the image to be moved up or down, left and right so that it can be aligned perfectly with the position of the screen. We think that there is no reason to have an ugly bracket for VPL-VW570 dangling down from the ceiling, instead the projector can be positioned directly on the ceiling, on our ultra low profile projector bracket for VPL-VW570. 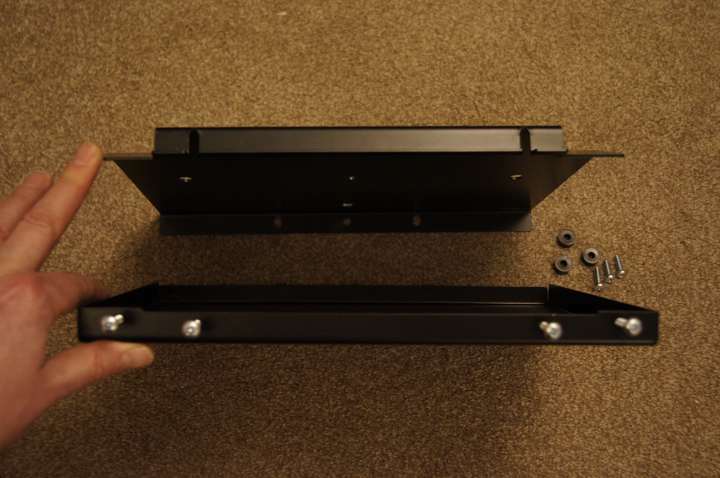 Bracket for VPL-VW570 – Included when you order your projector from us. At UK Home Cinemas we find that for almost all of the home cinema installation projects we do, an ultra low profile projector bracket is the best possible way to mount the projector. We have developed a special version of our ultra low profile projector mount, to take the larger home cinema projectors including the VPL-VW570. This mount is still very slim and we think it’s the perfect mounting bracket for VPL-VW570 projectors. Our bracket for VPL-VW570 places the projector almost directly below the ceiling and allows the installer to make fine adjustments to correct for ceilings which are not perfectly horizontal. In addition to this bracket for VPL-VW570 we also stock ultra low profile projector brackets to fit each of the other projector brands which we sell. 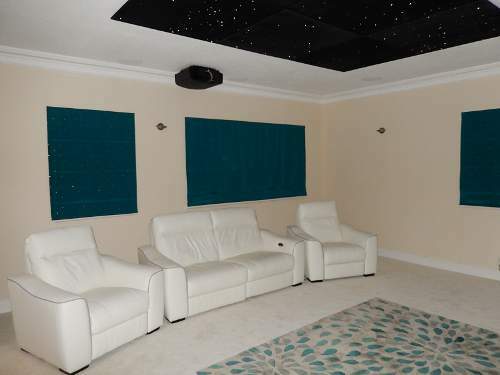 When you order a home cinema projector from UK Home Cinemas, our published price includes a long HDMI cable and our specialist home installation service and a projector bracket to suit your requirements. This offer includes our own low profile bracket for VPL-VW570 projectors. Our home installation service is included in our published prices for home cinema projectors, or if you don’t want home installation talk to us about a reduced price for supply of the projector and bracket without installation. The flush ceiling bracket for VPL-VW570 is included in our very competitive prices when you purchase your projector from UK Home Cinemas (and we even install it for you). Alternatively this projector mount can be purchased separately for £123 plus delivery & VAT. Competitive packages are available for projection screens , AV receivers , speakers etc when ordered with a projector. Please call to discuss your exact requirements.